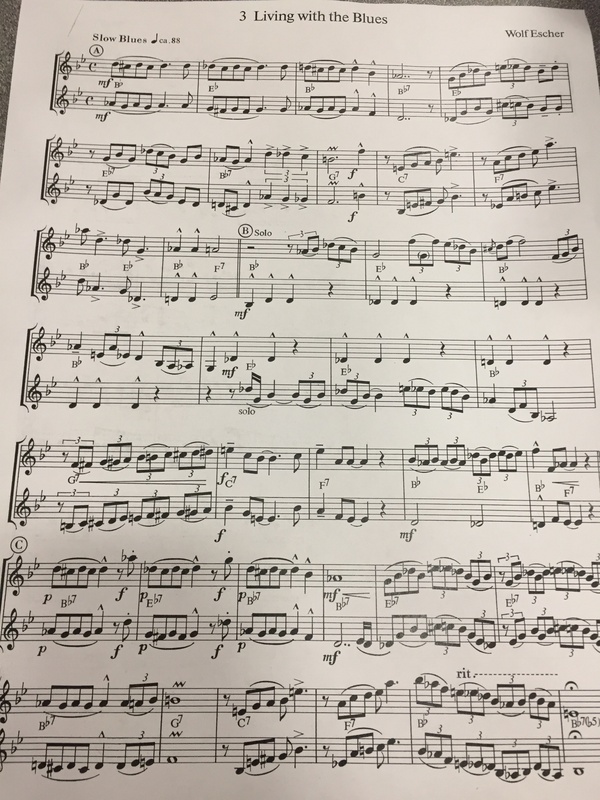 Students taking music classes at Shawano Community High School (SCHS) and other schools across Wisconsin start preparation for the annual Solo and Ensemble music competition. The event takes place on Saturday March 2 in Pulaski, Wisconsin. The young musicians received music pieces to practice and play for Solo and Ensemble earlier in the school year. The pieces were assigned based on their skill levels and preferences. After practicing, they play their individual piece at Solo and Ensemble. Sophomore Haley Sheldon, who plays trumpet in the SCHS band, explained what Solo and Ensemble is. “Solo and Ensemble is basically a competition for the band, choir and orchestra students. The students perform in front of a judge, and they get scored based on how well they play or sing,” Sheldon explained. The students have the opportunity to play whichever style of music they prefer. They can play solos, duets, trios or even group ensembles. Solo and Ensemble has a set schedule that everyone follows, and there are several different judges that listen to everyone’s prepared pieces. “Before we get to Pulaski, we get a set time that each of us is going to perform at. Then, when we get there, you go in the room you were assigned with the judge, and sometimes there will be an audience depending on the room you are in. You play the piece that you prepared; then, the judge critiques you and gives you a score based on how well you played,” Sheldon stated. All of the judges score the students in the same way. Sophomore Nathan Edwards, who plays the saxophone in the SCHS band, explained how the scoring works. The students work hard and prepare their pieces as much as they can before they perform them in front of the judge. “I try to practice my piece every day at home. Mr. Kent [the band director] offers lessons and free time to come in and work on the pieces that we chose,” Sheldon stated. Band, orchestra and choir students that prepare for Solo and Ensemble understand why it is so important to practice their piece thoroughly. Solo and Ensemble, although it can be nerve-wracking and difficult, is something that all of the students can enjoy and benefit from. 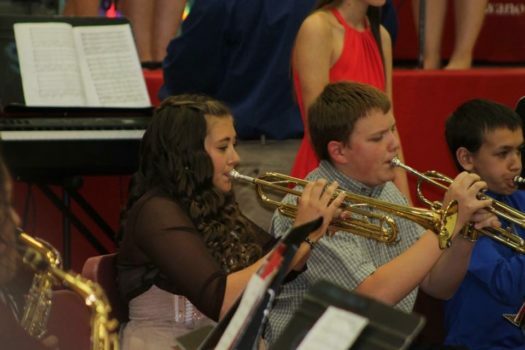 “I play at Solo and Ensemble because I feel that it makes me a better musician overall. I can improve my playing abilities by being critiqued by the judges. It’s also rewarding, and I feel very accomplished after I finish playing my piece,” Sheldon said.